Thy Resurrection, Oh Christ My Savior, the angels in Heaven sing! Many are embracing Jesus Messiah in faith, recognizing Him as the fulfillment of the Law and the Prophets, and the fulfillment of the Edenic Promise. He is the "Seed" of Genesis 3:15 who came into the world to crush the serpent's head and to restore Paradise. 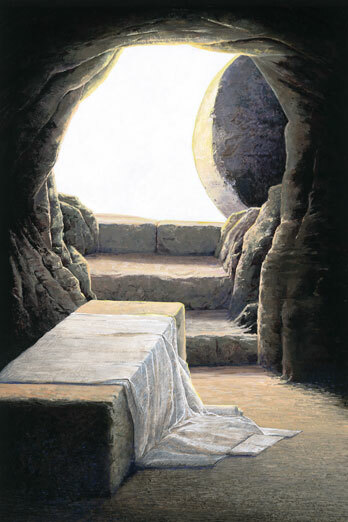 He accomplished this through His Incarnation, Death, Resurrection and Ascension. By His death He trampled down death! He is the long expected Righteous Ruler whose identity is confirmed by His third day resurrection. Rabbi Kaduri knew the traditions of Abraham's people expressed in symbols and patterns and those pointed him to the truth about Jesus Christ. Watch this YouTube video on Rabbi Kaduri. Related reading: Righteous Rulers and the Resurrection; Matthew's Testimony Concerning the Empty Tomb; The Significance of Galilee in Matthew's Gospel; Christ's Resurrection in Genesis; Ostrich Eggshells: Paleolithic Easter Eggs?